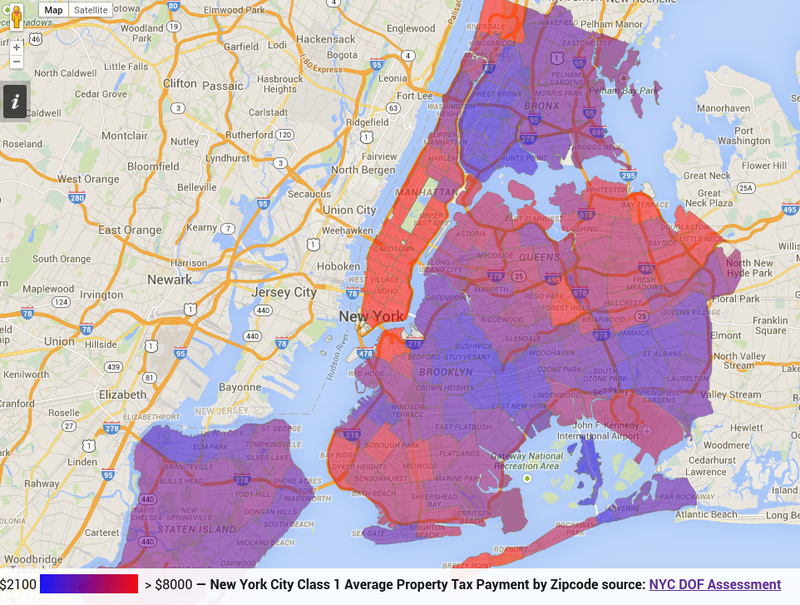 The red areas pay $8000 or more in property tax. 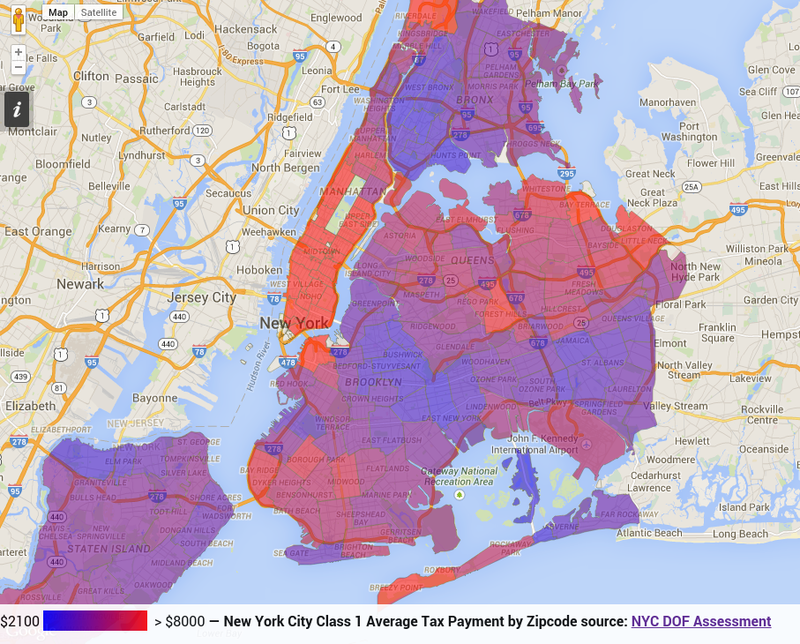 The blue areas pay $2100. 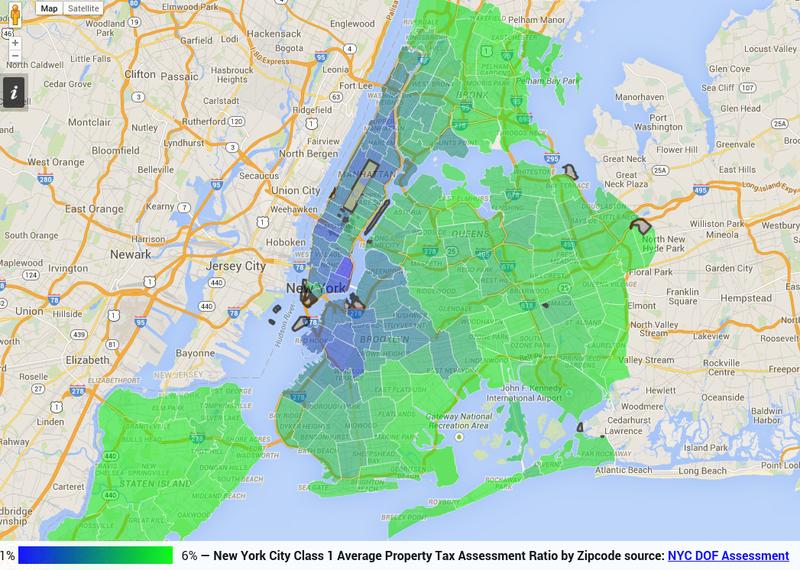 These two maps show the areas that are paying relatively low property tax vs. relatively high property tax. Manhattan Class 1 property owners are paying on average up to $80K in property tax, but the assessment ratio is low so it will continue to rise very slowly over the next decades. 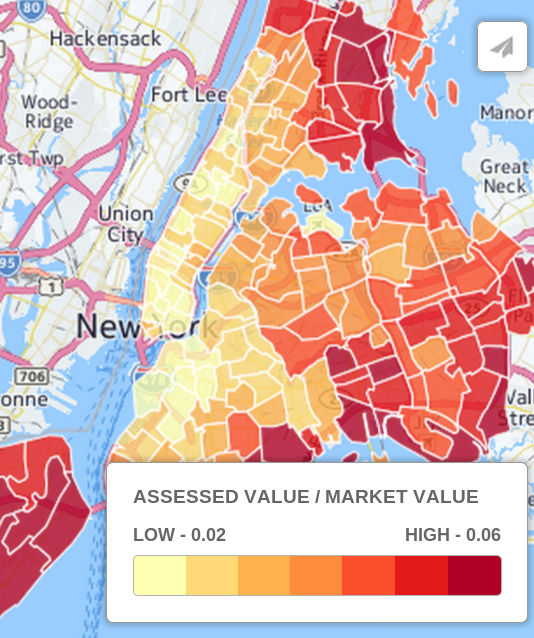 The Park Slope area of Brooklyn's Class 1 property owners are paying very low property tax in real dollars on average relative to almost every other area and also have a very low assessment value and assessment ratio. This is unique to Park Slope and the immediate surrounding area.